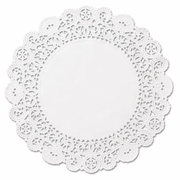 Brooklace Lace Doilies, Round, 5", White, 2000/Carton. •Adds an element of elegance to food and beverage presentation. 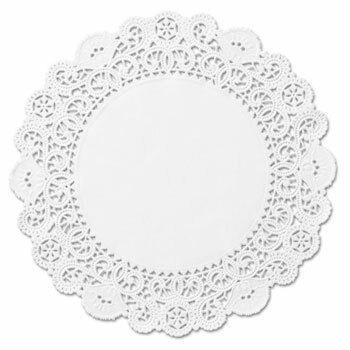 •May be used for displaying pastries and desserts in bakeries and restaurants or as a mat for beverage glassware. •Thick, AOK K-Parve® lace.